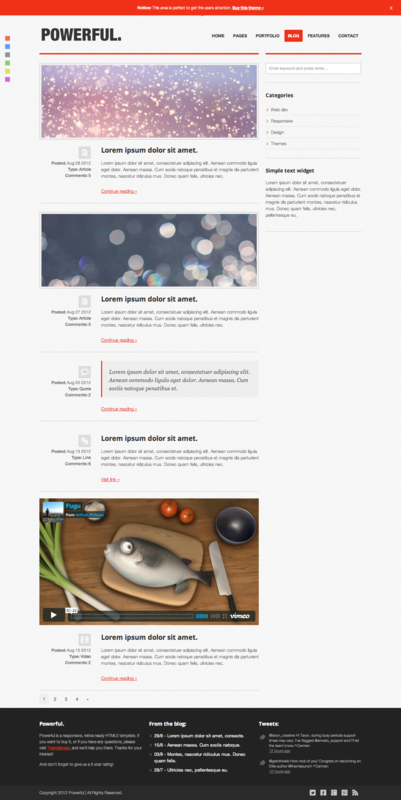 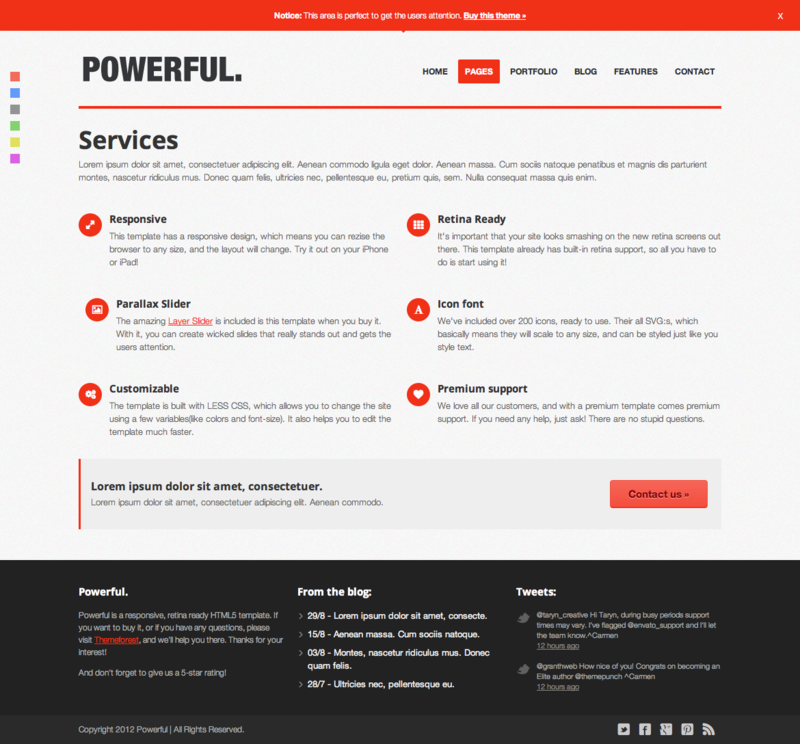 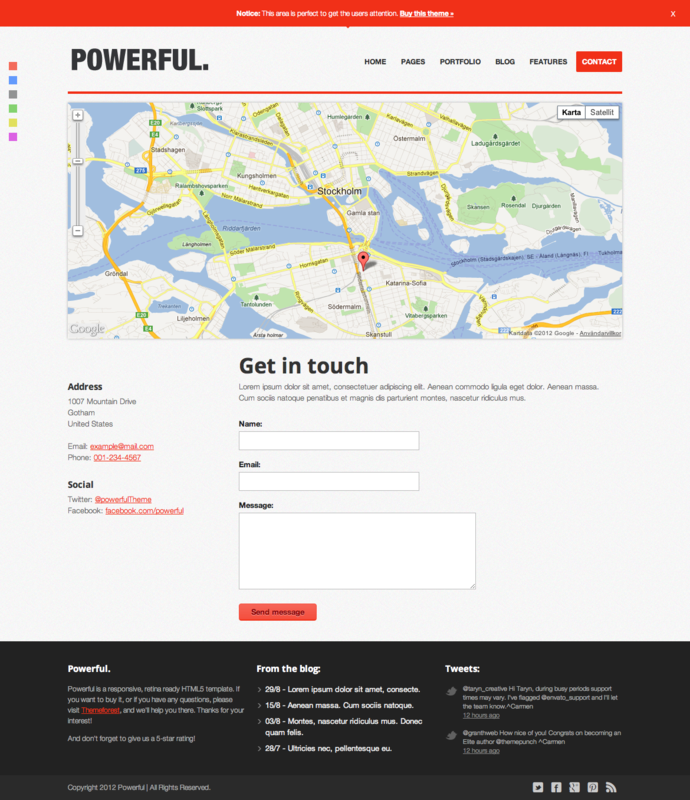 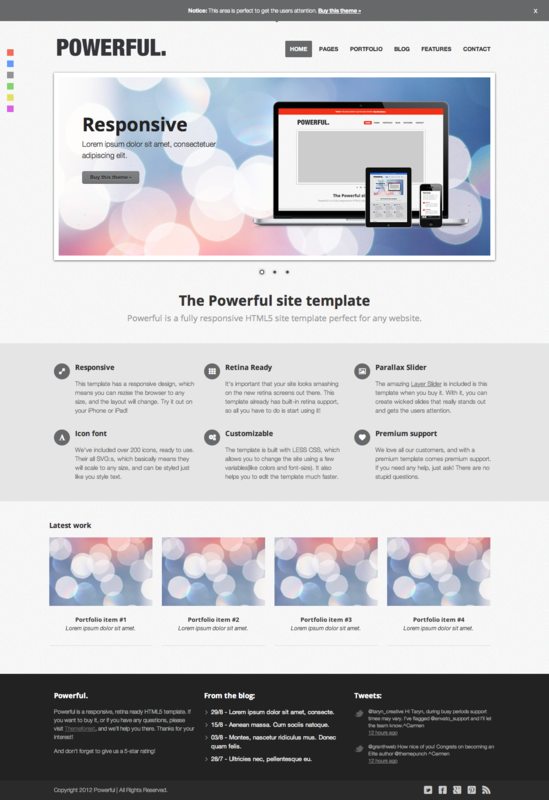 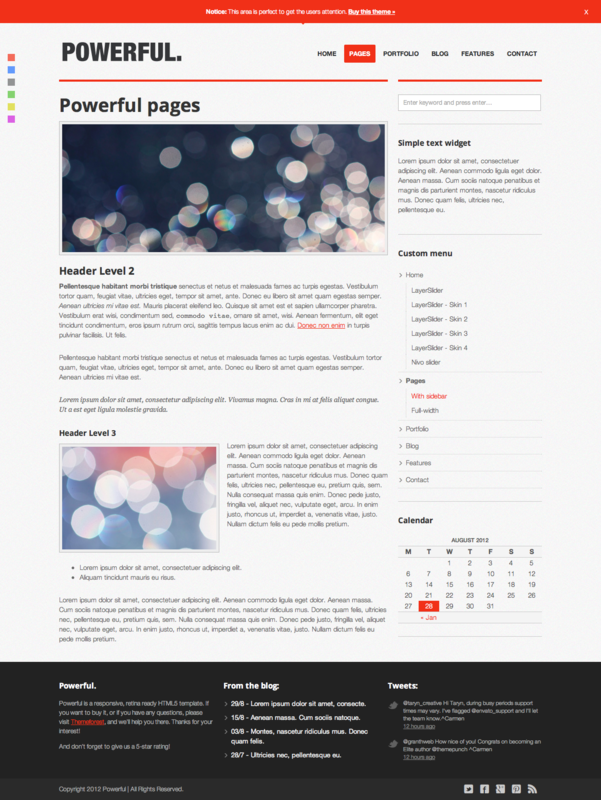 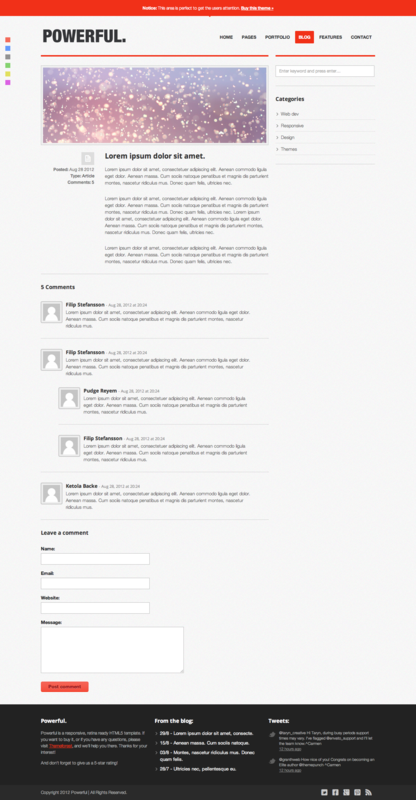 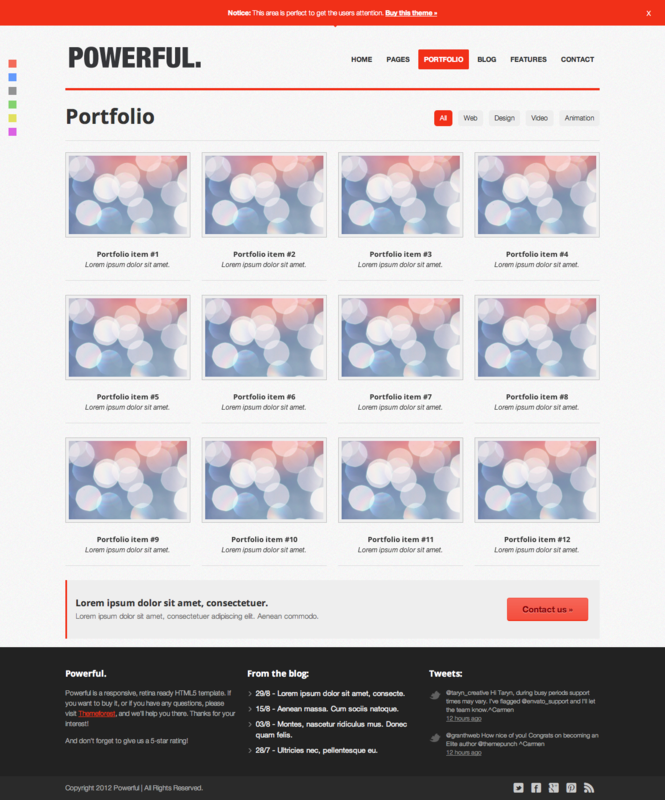 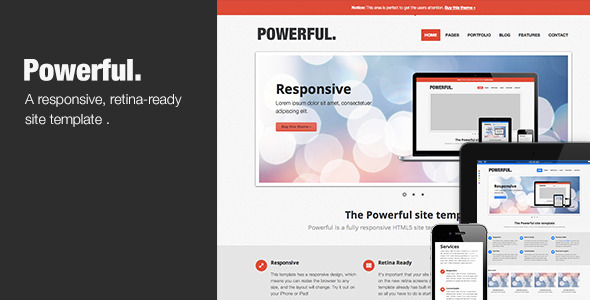 Powerful is a resposive template with retina support, perfect for a business or portfolio site. 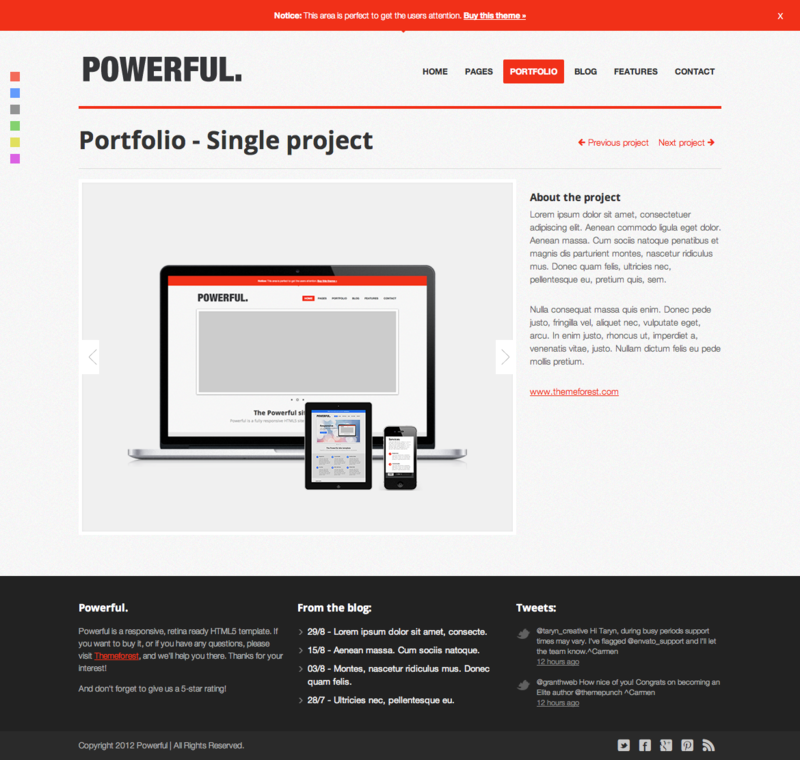 It’s clean, well coded and includes loads of awesome features such as a slider, filterable portfolio and an icon font with over 200 icons. The template comes in six different colors(and 10 different templates), and by editing a single line of code, you can change the whole color scheme to any color you’d like.